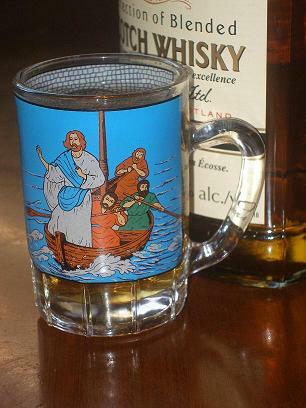 Whisky Prajer: "Today's posting brought to you by Quisp and Quake!" "Today's posting brought to you by Quisp and Quake!" It's Cowtown Pattie's fault: she located this TV ad from her youth. 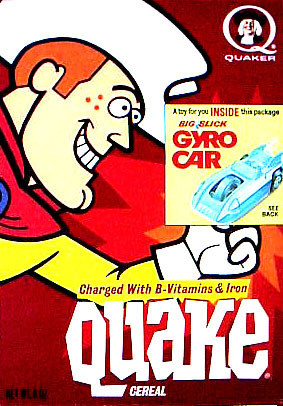 Now here is one from mine: New & Improved Quake Cereal, with a guest appearance by Quisp. I would have been about four years old when I saw this. I'd be curious to find out how people get footage of stuff like this. What events does a collector of Jay Ward animation need to attend to complete his or her collection of cereal commercials? Here is the Wikipedia entry for Quisp. 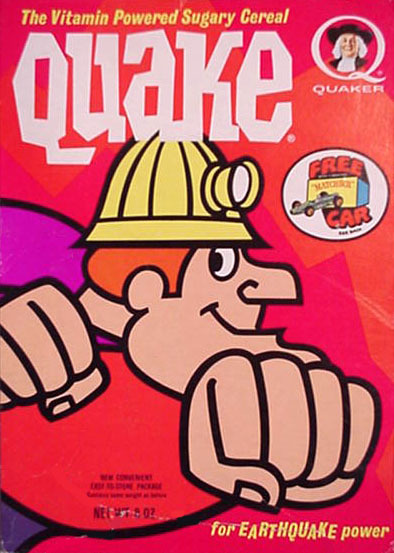 I, like others of my generation, preferred it to Quake. Obviously there was no difference in taste or texture — both were a softer concoction of Cap'n Crunch, as the entry points out — but staring at this cheerful googly-eyed propeller-head was a happier prospect than staring at a) a skull-thumping miner or b) a barrel-chested galoot. Ward must have known this. And since I'm already YouTubing, here is a perfect example of how the White Stripes get under my skin in the most unpleasant way (Here is the rest of the story. Both via Boing Boing. ). WP, it takes a certain National Frame of Mind and Sense of Humour to be able to deal with the perfromance by the White Stripes. I think if those bozoes tried to pull that off south of the Border, say in Boston or NYC or Philly (God help them there), they would have had their heads torn off and stuffed into their amplifiers. I personally would have thrown (empty, of course) one of these at them. You know, knock some of that piss out of 'em. It kinda blows my mind that we grew up in such different places but have so many cultural touchstones that are the same. You hit upon one of the very moments in my childhood I have a vivid memory about. (Well, at least in regards to TV. The other significant ones are the "making of" Silent Running where they showed that the robots are really amputees, and this "educational" thing they'd run between cartoons where they showed a moving x-ray of someone drinking, and it grossed me out so much, it put me of my poptarts). It was great to see that commercial after all this time, because I wondered if my horrific memories of it were valid or not. While it looks tame now, I can see why it bugged me as a kid. DV - I couldn't agree with you more. Even if they'd tried this stunt in Toronto The Good they'd have faced angrier crowds than this one. One bottle of Keef's wouldn't do it for me: they'd have got the whole case. Yman - if I remember rightly, there was a comic strip on the box of both cereals that told the story of Quake's encounter with the "New Improved" machine. I have to chuckle now because (if MAD Magazine is to be believed) the original Quake looks very much like someone who enjoyed beating up hippies. NOT a good mascot when a longhair is stoned and ready for munchies and milk! 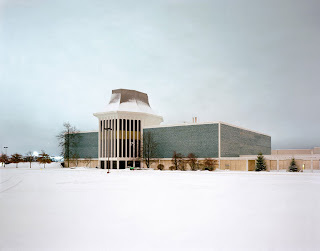 This looks vaguely familiar but it doesn't really conjure up any concrete boyhood nostalgia. But it does remind me of "Dodo The Kid From Outer Space" - a cartoon about an alien kid with pointy ears and a computer bird friend who could project movies out of his head. Remember him? You mean this guy? Nope. Don't remember him (seriously!). As for Q&Q, my exposure to both cereals was limited, I think, because of its sugary nutrition as well as its cost (those enormous bags of puffed wheat were so much cheaper). Perhaps another similarity in our upbringing? 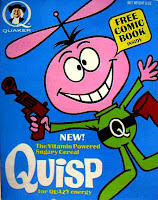 Never like either Quisp or Quake, but I did dig some GrapeNuts, even as a kid. Cap'n Crunch with Crunchberries was a preggers fav. "Ah, the bucolic summers of small-town Canada!"